Hi Buddy this topic is document text sizer, its make resize your document text. Sometimes the text size you've specified for your webpage isn't suitable to the viewer, depending on his browser configuration or OS. This useful script by Taewook uses Dynamic CSS to let the viewer himself modify the text size of the page on demand, by clicking on an Increase or Decrease Font Size link. Now that's a kind of personalization your viewers may just appreciate! This script is most appropriate for webpages styled using CSS or a minimal of deprecated HTML tags, though it can also affect text sized using explicit tags. 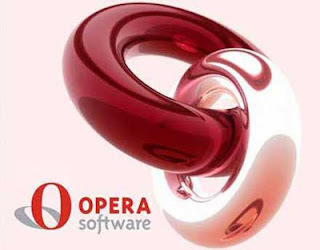 Compatibility wise, a DOM enabled browser is required for the script to take affect- IE5+/NS6+/Opera 7+ etc. A bold text : change with your textsizer.js file link in your hosting like www.geocities.com etc. Video to Flash converter quickly and easily converts your digital video to the SWF Flash or FLV format. The program has a simple and intuitive interface and has a built-in Flash player and an HTML generator. You will not need any special software, codecs or knowledge to be able to work with Video to Flash converter. Just drag and drop the file you want to convert onto the program window, select the output format and click Start Conversion. Its new instalation in my blog, that is banner exchange. 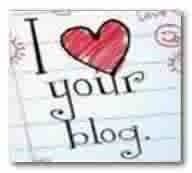 You can insert your banner into my blog automatic, its helpfull for you. You just insert banner link and blogsite link. How To get that widgets? 5. Get HTML Code to enter in your widgets blog. 6. Enter your widgets to your blog. This video how to set up your Google Adsense on your Blog/Website. HOPE THIS VIDEO CAN HELP YOU !! Trendy Flash Site Buiilder 3.0.6.7 Portable This is a complete software application that you can download on to your computer to build stunning flash sites. This application has advanced image and music addition features and supports up to 100 pages per site. A special feature is the ability to publish sites as CD presentations with a single click. the problem occurred again on my geocities server, either what causes all the files that I saved in my Yahoo GeoCities lost and can not be opened. What is the problem of the GeoCities, or on my side, see comrade on the banner that I belong I put the picture does not appear in GeoCities. Here's easy way to do smth not use file hosting free, if what has happened so all maintenance issues. Buddy help me find a file hosting such as geocities. CLICK HERE FOR AUTO LINK EXCHANGE ! !